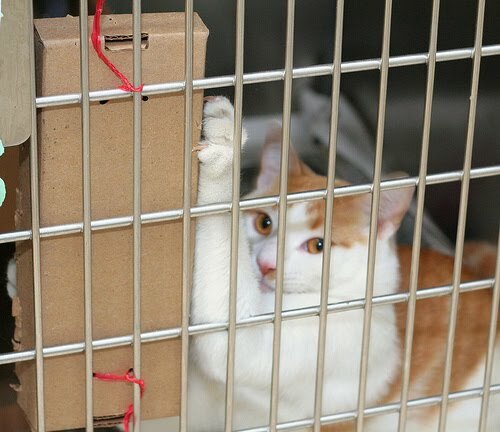 Ottawa Humane Society: Show a cat some fun! The OHS has purchased several hundred specially-designed cat scratch pads to help ease feline stress inside our cramped shelter. 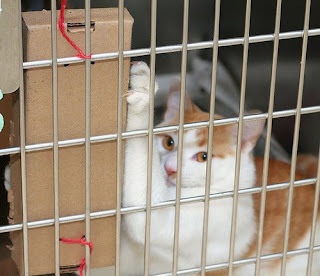 The pads are easily affixed to the side of a cat cage, and allow the animals to ease anxiety and get a bit of exercise. Stress reduction in a shelter environment is extremely important, as it can help ward off illness and keep animals healthier. The pads have been a huge hit with our cat residents so far! The pads have been used in a handful of cages, and our goal is to introduce them to more cages going forward. Each scratch pad costs $1.50 and it will cost thousands of dollars over the next year to outfit our cages. You can help us purchase these scratch pads to keep our cats healthier!